There have been times during the Rugby World Cup when you just despair . 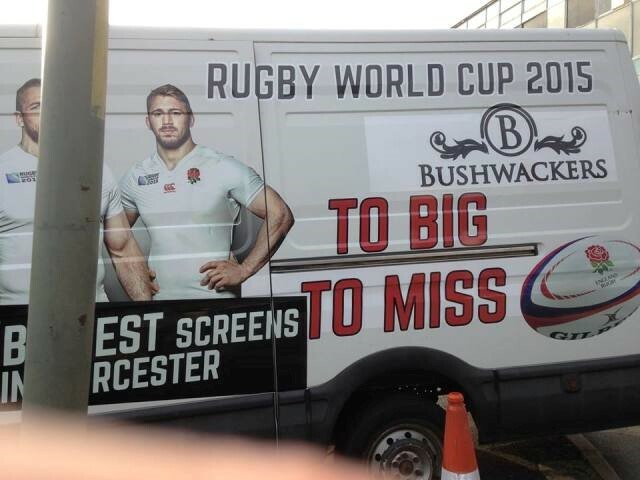 . . this was spotted throughout Worcester on the side of a van! Need a good proofreader? Try www.writeitclearly.com. Even you (and I) need a proofreader Your website is your shop window OCR: quality versus quantity? Ref: 214 Oh dear indeed. Signwriters should definitely use a proofreader! Ref: 213 Oh dear. The English rugby team is associated with another mistake!